PRC-352 or any other VHF radio set with a 50 Ohm Co-axial outlet. 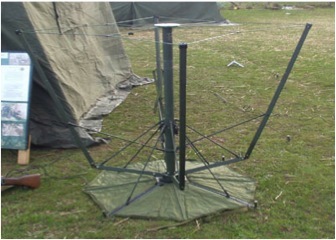 Clansman Inverted V wire antenna. 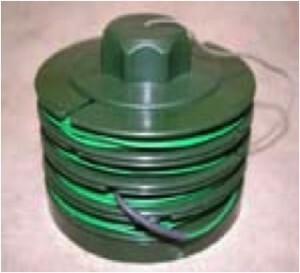 Clansman PRC-320 Counterpoise Antenna Spool The Counterpoise Antenna provides an artificial earth for all antennas when used on ground of poor conductivity, such as desert of frozen snow and ice, and should always be used with the ground wave vertical or end feed antennas. 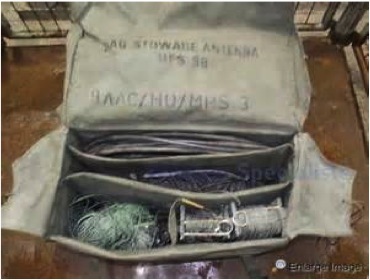 In use the wire from the 4 spools are spread radially around the radios such as a Clansman PRC-320 and the short lead from the main spool connected to the earth terminal of the radio.